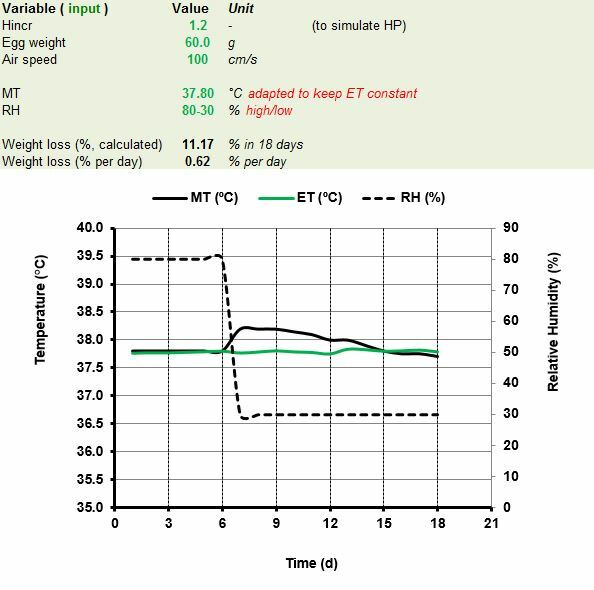 With this Excel sheet, you can simulate the effect of machine temperature (MT), relative humidity (RH) and air speed (V) across the eggs on Embryo Temperature. 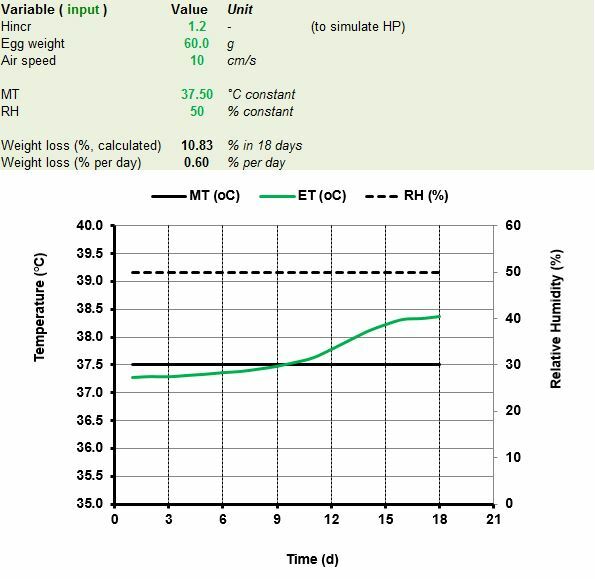 You can use this program to determine the required machine temperature setting profile, based on embryo temperaure. Further explanations can be found in Lourens et al. (2011) and Meijerhof and Van Beek (1993). Clear is that the MT settings can be very different when RH or wind speed is altered!! So all changes need to be monitored and checked using EST readings!! 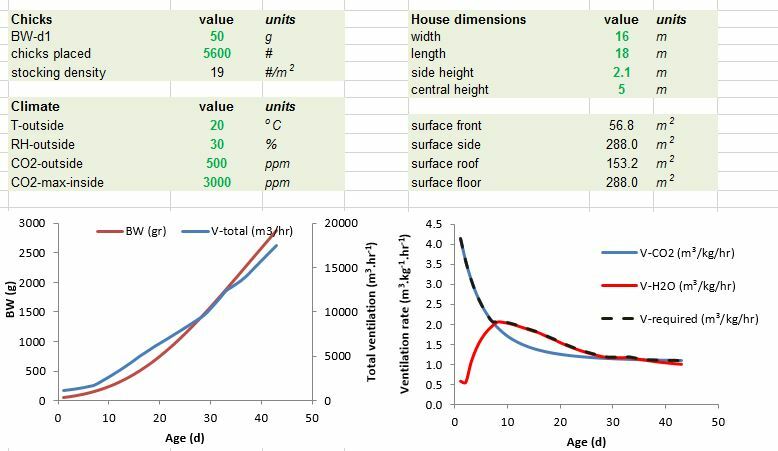 Excel sheet to make calculations for dewpoint temperature and water content of moist air using air pressure, air temperature and humidity can be downloaded here. 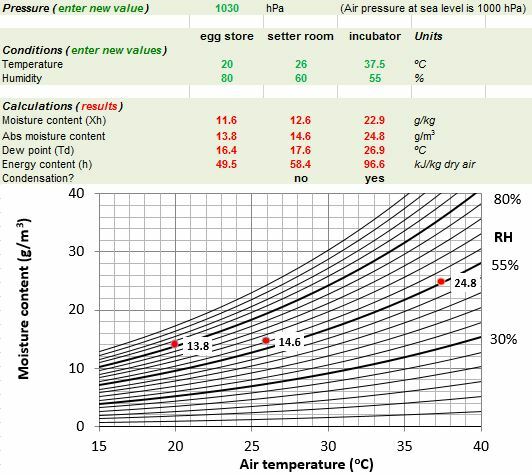 Excel sheet to calculate ventilation requirements and effects of additional spraying on egg temperatures can be found here. 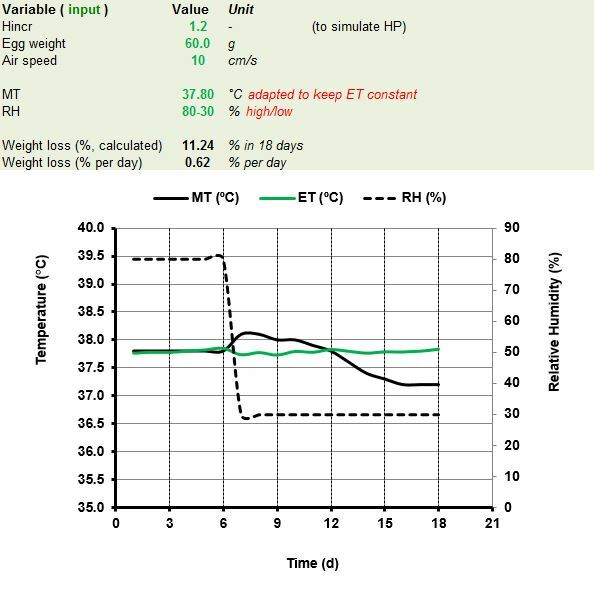 Excel sheet to calculate ventilation requirements for broilers. With this excel sheet you can calculate economic profits of improvements in technical performance in the hatchery and at the consequent broiler farm. 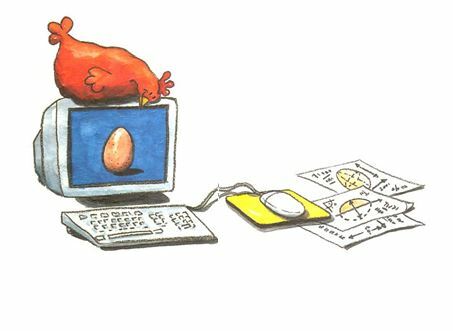 For example, you can calculate what the price of an incubator can be, if the machine improves hatchability and technical results. A good incubator choice guarantees a quick Return on Investment! But that is only a fraction of the profits of a well trained hatchery team! !